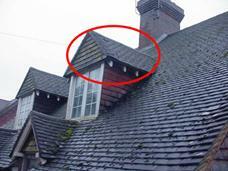 Our Surveyors pride themselves on a high standard of work. 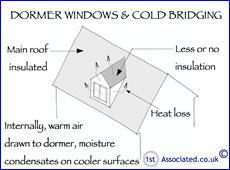 We carry out Building Surveys, Structural Surveys and Home Buyer Reports. We can also offer Schedules of Condition with regard to leases, Property Reports, Schedules of Dilapidations, Section 18 Valuations, Scott Schedules, Commercial Building Surveys, Structural Reports, and Specific Defects Reports. Note these are not for bank lending but are to advise you how much we feel the property is really worth. 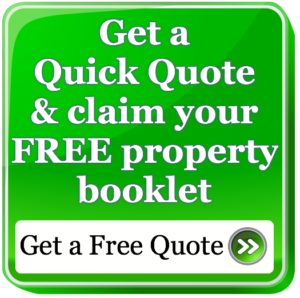 If you have a property problem we may even already have written an article on it and we would refer you to the many articles we have on our free property articles page. Our Independent surveyors are more than happy to talk about any property problems. What do the ovals and circles in our surveys mean? areas to explain to you what the problem is. see the example adjacent sketch shown here. We would also like to introduce to you what we call our good, bad and ugly survey which is our residential building survey, also sometimes known as a structural survey. After listening to the feedback from clients we have designed this survey and report to be easy to understand and we have been written it in plain English. If you would like examples of our surveys, residential or commercial, we are more than happy to provide you with these via email. You will see that our surveys contain photos, sketches and definitions that help to explain the specific problems that we find within the property. There is also an Executive Summary at the start of the survey report that highlights the main issues that we find with the property. If you want to buy a commercial property these are also sold at auction and we can help you with this. Properties can be sold both freehold and leasehold. 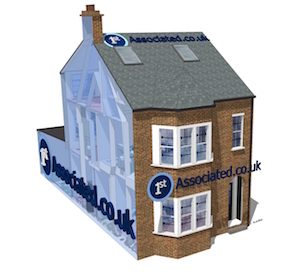 We can explain a great deal more about the commercial side of property on our other website www.FirstAssociated.co.uk . We also have a Dilapidations Website at www.DilapsHelp.com and if it is going wrong we also have a website for Disputes at www.DisputesHelp.com . We hope you find these articles of use and if you have any experiences that you feel should be added to these articles that would benefit others, or you feel that some of the information that we have put is wrong then please do not hesitate to contact us (we are only human).